I watched a great documentary on PBS the other night called Hollywood Chinese. The 90-minute film illuminates a century of Chinese American cinematic history, from rare silent classics such as Marion Wong’s The Curse of Quon Gwon (1916) to the contemporary critical and commercial success of Ang Lee’s Brokeback Mountain (2005). 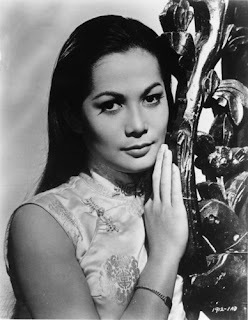 Nancy Kwan was the star of Flower Drum Song and she gave a lot of insightful commentary about the industry in that era. Bottom line, it's a must-see documentary. Check out PBS.org for more info. I saw the Flower Drum Song revival on Broadway with Lea Salonga, it was so great! Amazing music and a really good story. I saw the documentary and it was FAN-FREAKING-TASTIC!! I learned so much and was so sadden at times. One of the favorite books is Good Earth and I never realized that it was once a movie. @Yvonne, I'm glad you saw it too! I'm also a big fan of musicals so I can't wait to check it out. It looks interesting. However, since I don't have PBS I'm wondering if the documentary will be available on DVD. It's definitely worth the investment! Another great documentary that revealed a bit of Hollywood history I knew little about. tax incentives have been extended and can cut the cost of a residential solar power installation by 30%.